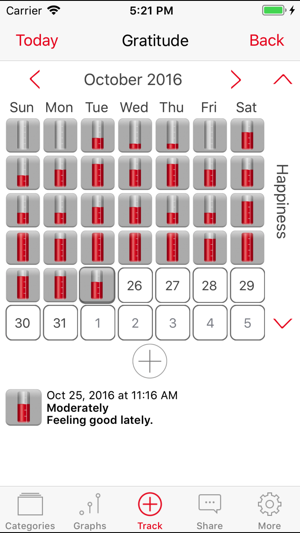 I was so excited about this app. Very usable. Coached a couple tech-phobic friends how to set up and use. But tonight wouldn’t open no matter what I tried, just when I was about to show it off. The app won't load whatsoever with the latest update. We resolved this issue a few days after it first came up. The app works great. 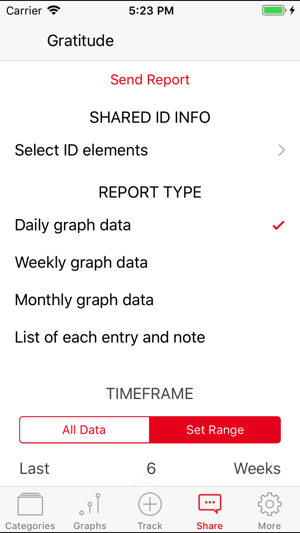 I like the features that it shows in their quick guide to use and the app has all but only a few of them. Not worth the time or money...all you get is one category. It shows you can add more, but it doesn't allow you too. Very misleading instructions and features shown are not in app. UPDATE: I contacted the app. developer. 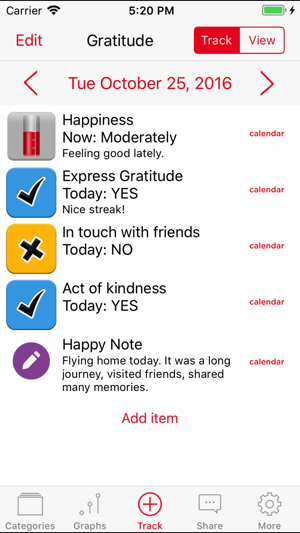 Gratitude app. Is only a part of a bigger one called TracknShare. 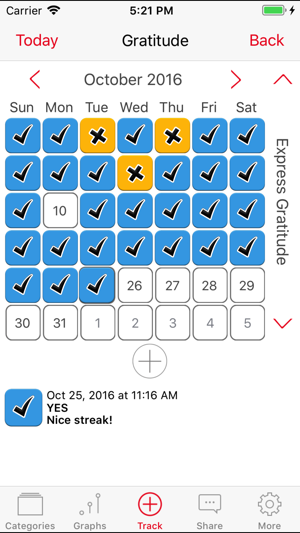 Gratitude is great in of itself, but the other app. is definitely worth it's money! The developers are wonderful should you ever have a problem! They assured me that the next update will show the features of Gratitude only. For anyone else that might have this confusion. 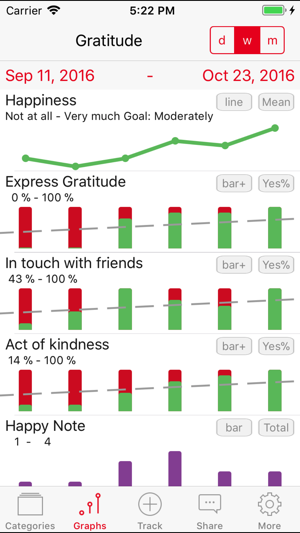 I really, really like TracknShare and Gratitude is in it.